7 months ago, Instagram introduced video as a new feature on its app and we definitely have to agree that it was a smart move on their part. So McDonalds don’t have a huge amount of videos, but the ones that they do have are quite literally amazing. Without the need for a voiceover or even people, they use their food and packaging to tell the story. It’s so simple yet so effective. Check out this video that shows how creative you can be without the need for a big budget! Burberry is an iconic luxury British brand and this is very much reflected in every post they release. They’re pretty creative with their videos with scenes shot straight from the runway showcasing their latest apparel, cool footage of their models and videos of their vintage van driving around delivering Burberry gifts to the people of London. If MTV aren’t getting videos right then there’s something seriously wrong. Luckily for them (and their 1,938,534 followers) they are. 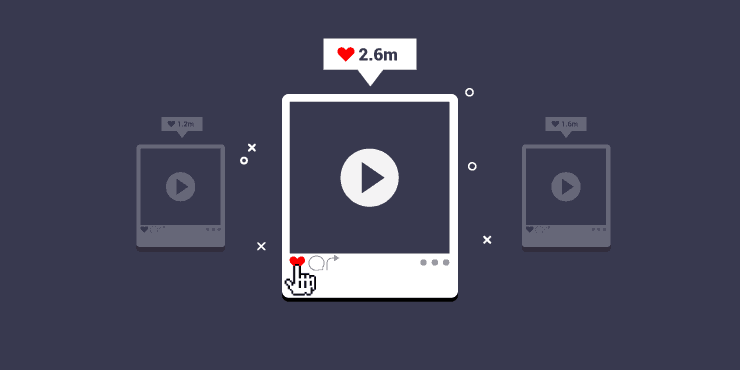 Pretty much every post on their page is video – and rightly so! They fill the 15 seconds with celeb news, interviews on the red carpet and previews for upcoming shows that you can expect to see on all of their MTV channels. The BBC has taken to Instagram video like a duck to water. Every single post on their account is a video that they like to call ‘BBC Instafix’. Their videos are simple, creative and surprisingly fun! They’ve got a real mixed bag to view, from hard hitting interviews with world leaders, to unfortunate incidents on live TV… BBC Instafix doesn’t miss a trick! Red Bull is an aspirational brand and that’s exactly what you can expect on their Instagram. They post incredible videos of extreme sports, with everything from wakeboarding to motorcycle stunts in the mix. It also helps that they shoot their videos in amazing locations all over the world, so as you can imagine each video is quite simply breathtaking! As a brand that makes money from selling cameras, Go Pro is definitely one to follow. Their images alone will keep you scrolling for hours, but since the introduction of video, Go Pro has entered another league. From mountain bike back flips over a 72ft canyon, to deep sea diving with whales, this is one brand that has definitely mastered the Instagram video!